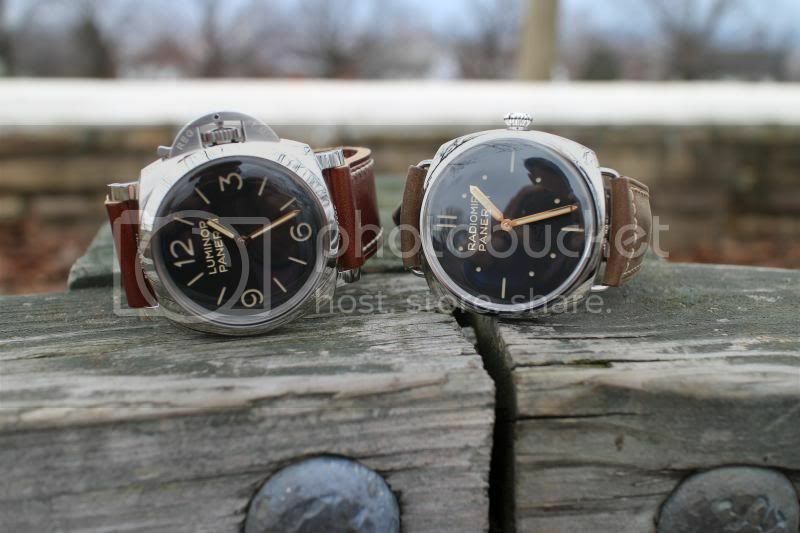 TimeZone : Officine Panerai » Back to Panerai with 372 and 425 - wonderful! 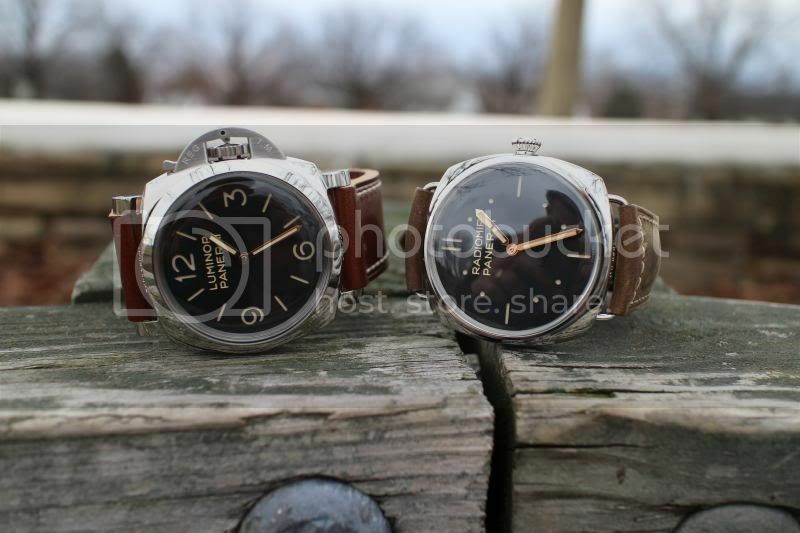 I have bought and sold a number of Panerai's over the years and have been without for a while now. I've owned 88, 176, Tantalium, 210, 351, 1950 Rattrapante,25, 305 and perhaps others but have been feeling the urge to get "back in the game". 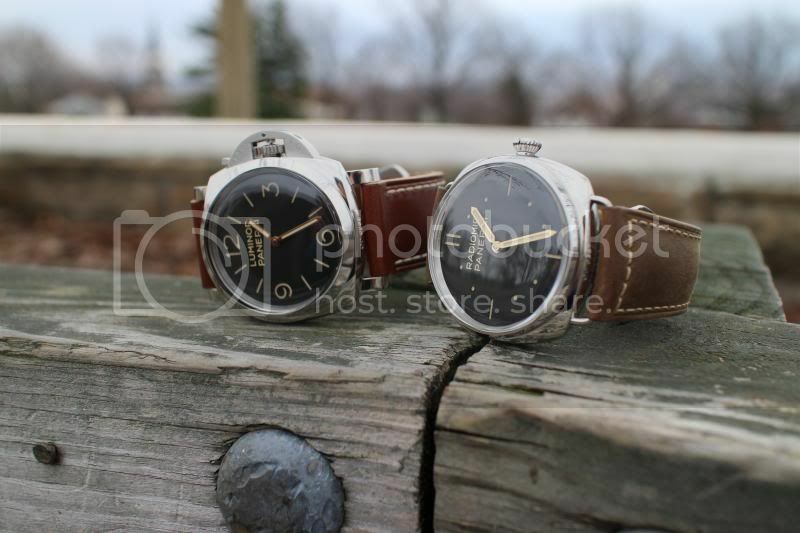 I made a few other trades and just purchased this pair - which I love! 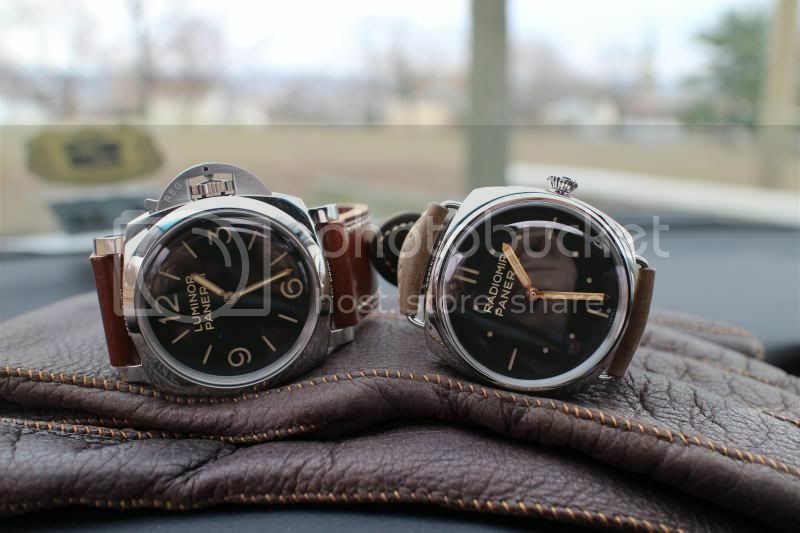 Some may say that they are similar but different cases and dials and are enough to justify keeping them both in my opinion. 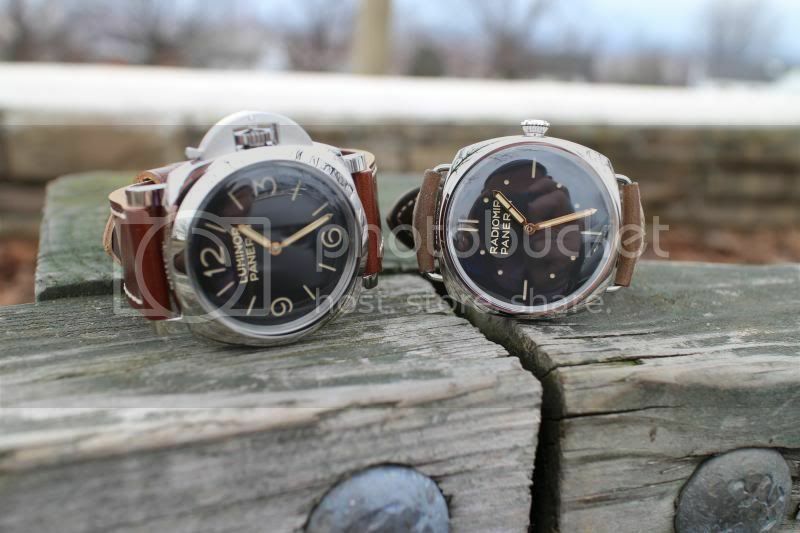 They share the same hand wound three day movement but other than than I think they each have enough character to hold their own. Next Topic: What are YOU wearing going into the weekend?